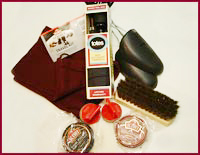 This package is essential for the savvy traveler who wants to keep his shoes in impeccable shape. 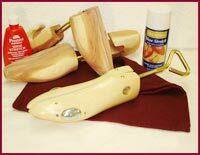 This will enable you to keep your shoes with the right shine and protect them from the rain, until we see you again at VIP. VIP believes this is an excellent gift for the student abroad or anyone on the move. 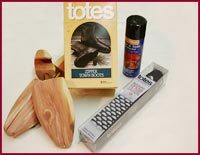 For those who make it a point to maintain there shoes appearance at all times, this is a unique gift that will go along way. • 2 100% horsehair shoeshine brushes. 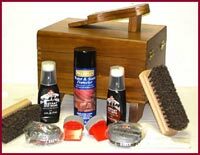 * Also, you are welcome to customize your shoeshine kit adding extra elements such as meltonian creams, weather proofing creams, sole dressing, etc. Consult your VIP professional for suggestions and pricing. This is a must to keep you and your shoes as safe as possible from the rain from top to bottom. For those of you who love suede shoes know they need extra care. 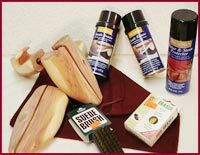 VIP has put something together that will help you clean and preserve your suede and add years to the life of your favorite suede shoes. This kit is a time and money saver and the great thing about it is you’ll be in the comfort of your own home. Use it as many times as you need it and on as many shoes as necessary. We strongly suggest you should consult one of our VIP professionals to get the best results possible. 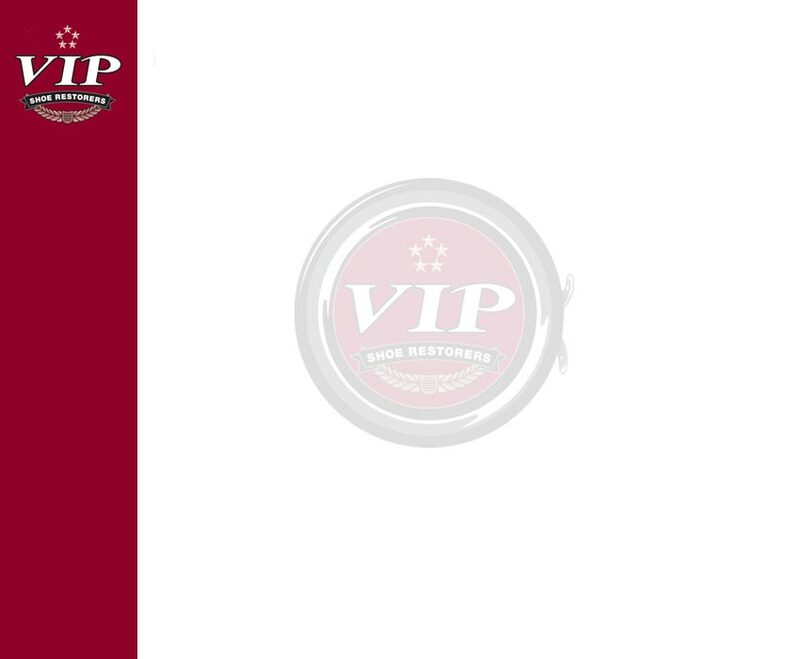 * These VIP packages are valid through Internet orders only, plus shipping and handling.Taxes when applicable. * Please allow 10-14 days for the return of your merchandise. Shop conditions occasionally vary; therefore to provide the best service possible VIP will notify you if more time is necessary.